Went on a official business trip to Perth in end Oct 2009, 27 Oct to 31 Oct.
Perth is on the same time-zone as Singapore but the weather here is definitely cooler and nicer. 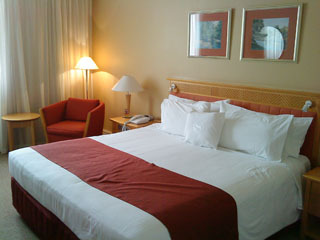 This is my room in the Sheraton Perth Hotel. 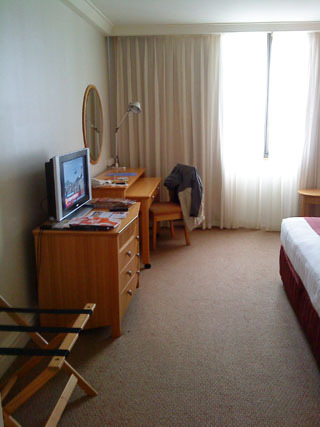 Not too bad, comfortable bed but limited TV channels. Some more views of the room. Small LCD TV, clean and simple. 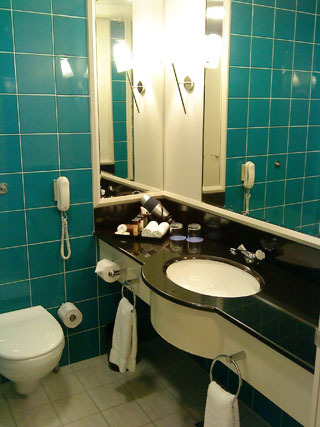 This is simple...so far, still love the bathroom in Melbourne Crown Towers Hotel. That was grand. With jacuzzi and the works. We (my fellow delegates from Singapore, total 6 of us) took quite a long walk to find this restaurant, Little Moorish Restaurant. At first, we thought the place was closed as there was no one inside but it was quite a nice and cosy place. The food was good, especially the lamb kebab I had!!! Full name was "Moroccan Lamb Brochettes". 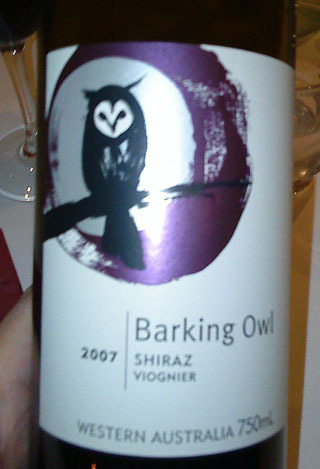 Interesting label of the Shiraz we drank at the restaurant. Made a stop at their local petrol staton to pick up some mineral water and snacks before making our way back to the hotel.